Sugar Shoppe is your one-stop shop for everything candy and delicious! The company is a non-profit and kindly donates all profit to the Make a Change for Change foundation, who's ultimate goal is to erase homelessness. How Sweet is that? So no matter if you simply have a craving or need to put together a gift package, you can do both all while making a positive change in the world! 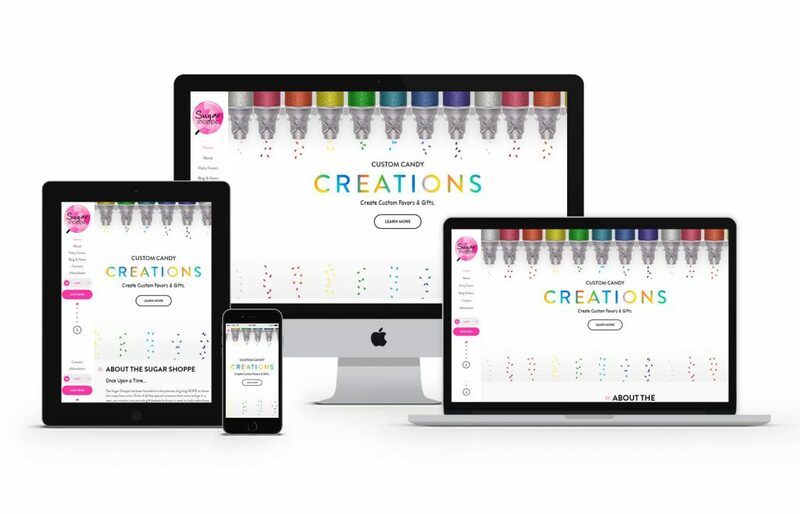 GoingClear Interactive was responsible for the web design and development of the new Sugar Shoppe website. We really focused on staying true to the existing branding and used a wide range of colors to convey a sense of playfulness and fun. 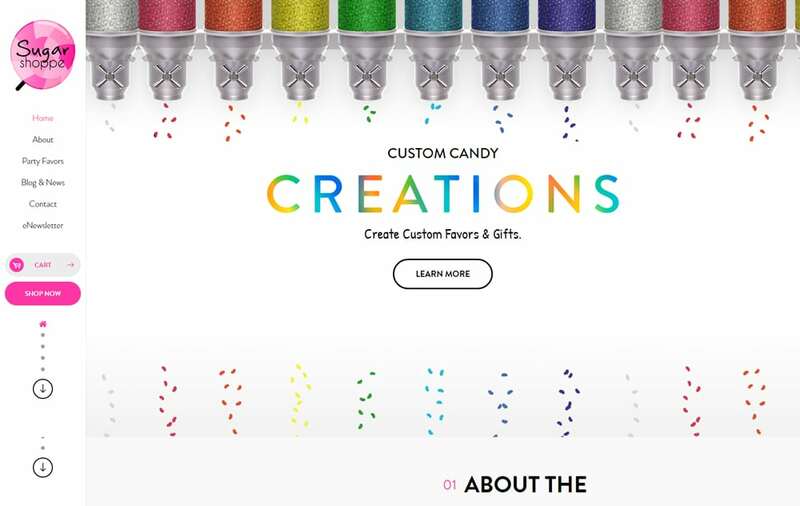 The most complex part of this project was the Custom Candy Creations eCommerce shopping cart experience that we put together. It allows a user to choose between 1, 3 or 6 piece box sets, and then build their own gift package directly on the site! The new Sugar Shoppe website was built using WordPress as the CMS (Content Management System) along with the responsive framework Twitter Bootstrap so visitors will always have a flawless experience on any of their devices.